Synopsis: "Adventures of a Lightworker: Dead End Date" by Caroline A. Shearer is the first in a new series about a woman's crusade to teach the world about love, one mystery and personal hang-up at a time. In a Stephanie Plum meets New Age-style, "Dead End Date" introduces readers to Faith, a young woman whose dating disasters and personal angst have separated her from the reason she's on Earth. When she receives the shocking news that she is a lightworker and has one year to fulfill her life purpose, Faith embarks on her mission with zeal, tackling problems big and small - including the death of her blind date. Working with angels and psychic abilities and even the murder victim himself, Faith dives headfirst into a personal journey that will transform all those around her and, eventually, all those around the world. A fun, fast-paced metaphysical mystery! What is it about the paranormal that draws us, that pulls us in with its air of mystery and tingle of the unknown? Is it a sense within all of us that we believe there really is more to the paranormal that meets the eye? Do we secretly believe the paranormal is possible, that this fantasy could someday come true? I think so. In fact, I know so -- because I live with what people describe as “paranormal” every day of my life, and it’s what I hope to share in my “Adventures of a Lightworker” series. Often, I’ll read a paranormal novel and think, “That’s not how it happens!” My book “Dead End Date” sets the record straight! My main character Faith is a sensitive, like me. Gifts like telepathy, empathing, communicating with spirits and angels, energy healing – these are all very real gifts, and I have described how they actually occur. I want people to understand these natural abilities and perhaps tap into their own, or heighten their abilities if they are already aware of them. The story itself is, of course, fictional – as Faith’s blind date dies and she stumbles into the mystery – but how she goes about using her gifts is very real! And Faith struggles. Like many of us, she doubts herself, and her mind clutter is active, active! She hits the same walls we all do as she attempts to evolve her soul and fulfill her life purpose, and she begins to break through some of those walls in this first book. I believe people will find themselves growing along with her character as they read the series. Back to these natural abilities, and what this may have to do with YOU: Have you ever thought you heard someone thoughts? Or perhaps you could feel what someone was thinking? You may be more right on than you gave yourself credit! Have you ever walked in a room and felt the tension or even the joy and had your own mood transformed instantly? Have you ever been visited in a dream by a grandparent or other loved one? Embrace it! It may very well have been a real encounter! Do you know why it feels better when a mom kisses a scraped knee? Sure, it’s a sign of caring tenderness, but there also is an energy transfer that takes place from mom to child, ensuring that healing is on its way! Powerful, amazing stuff all around us – every day! There is so much more to life than the surface level, this non-reality we describe as reality, and it seems to me that more and more people are recognizing it. 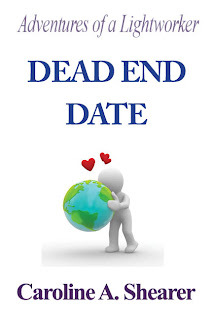 I hope my book, “Dead End Date,” and the eventual “Adventures of a Lightworker” series as a whole help inspire an awakening in many, many people, including those lightworkers who sense they have a special mission here on this wonderful planet of ours. I also hope that one day paranormal is recognized as normal! And let’s not leave out an important part of reading my book -- “Adventures of a Lightworker: Dead End Date” is pretty darn fun!! Check out the reviews on Amazon to see what others have to say! And you can listen to me talking more about the series and reading the prologue in two separate YouTube videos. 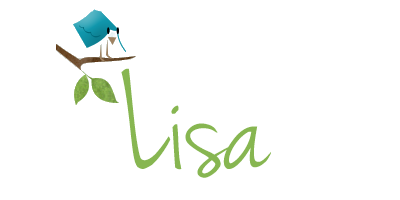 Feel free also to “friend” me on Goodreads and “like” my Facebook Fan Page! Until we meet again … trust yourself! Your inner voice knows more than all the books in the world! Thanks so much for stopping by today and writing the guest post Caroline. 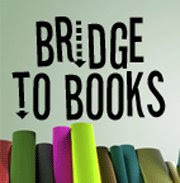 Hi Caroline, Just stopping by to say hello and that I found your blog site A Life Bound BY Books is awesome. Thanks for the Connection and I will continue to Follow your reviews. Looking forward to reading & Sharing some of your books. Wish you a Happy Holiday Season. Stop by at DesperateLands.Blogspot when you get a chance.